Traffic Cops, RTO Officials Pose As Passengers To Nab Drivers. Pune: In its second major action against autorickshaw drivers demanding exorbitant fares, particularly those arriving from other cities by private luxury buses, the traffic branch and the regional transport office jointly initiated action against as many as 82 drivers on Thursday night. 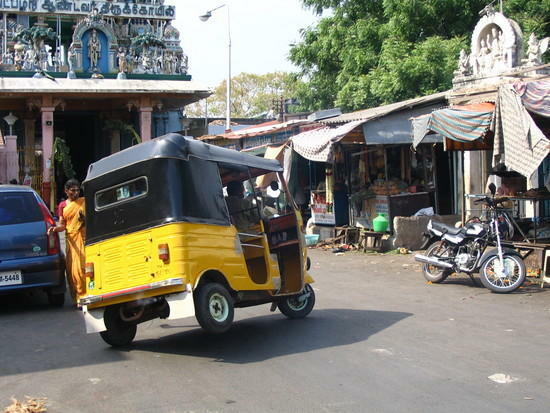 Posing as passengers, the staff of the traffic branch and the RTO found that several autorickshaws either refused to ply their vehicles on certain routes and short distances, or demanded exorbitant sums. The action was initiated between 9.30 pm on Thursday and 8 am on Friday, at four busy locations, including Pune railway station, Shivajinagar, Swargate and Yerawada, where a number of passengers arrive by luxury buses. During the joint action, it was found that a total of 120 autorickshaws were plying illegally and flouting traffic rules. DCP, traffic, Manoj Patil said that as many as 82 autorickshaw drivers had either demanded exorbitant fares or had refused to ply their vehicles. The licences of all these autorickshaw drivers will be cancelled and they will not get their badges easily the next time. Patil said the traffic branch and the RTO had received complaints from passengers about autorickshaw drivers demanding exorbitant fares. However, it has been found that passengers usually do not remain present for the hearings after their complaints are forwarded to the RTO. Hence, the staff of the traffic branch and the RTO themselves participated in the special drive against autorickshaw drivers demanding exorbitant fares. Patil, along with deputy regional transport officer Laxman Darade, said similar surprise actions will be taken against autorickshaw drivers for redressal of complaints of passengers. The traffic branch and the RTO had initiated similar surprise action against autorickshaws a few months back. 2. One of them dropped my friend in my society from her place, which would cost maximum 90 rupees, after dropping he charged 150 INR, when i asked why so? he said he will not get passenger while returning so he want that fair also to be paid , i asked him "Boss if you don't get passenger for rest of your day do you want me to pay the charge for whole day? Then he snatched the purse from my hand , took 200 rupees and said Do what you can do i am not returning the MOney..
3. Auto METER, god bless the manufacturer, sometime it will show 5 , sometime 6 sometime 8 for the same distance travel resulting the change in fare form 40 rupees to 60 rupees for the same distance you travel. You cant argue with them , as if Pune is bought by auto driver, and we are working under them. 4. This one from one of my colleague, he wanted to go to Mundhwa from Swargate, there are 2 way to reach Mundhwa from Swargate, one via Fatimanagar which would have cost him 80 rupees and another via koregaon park and kalyaninagar which would cost him 120 rupees.He asked them to drop him via Fatimanagar..guess what he did..."Yea mera auto hai , kahise bhi leke jaunga" ..this is my auto i will take it through wherever I want..
6. Unfortunately if you are from some other states and to make the matter worse if you don't know Marathi or HINDI...god Bless you...50 rupees will shoot up to 250 rupees...may your Dough's soul rest in peace after that. But i am relieved from one of my pending work, As I planned officially to bang few of them before leaving PUNE.. At least after reading this news i can allow my vengeance to turn into forgiveness ...My heart fills light..
WELL ITS NOT ONLY A PUNE PROBLEM..TODAY WAS FIRST DAY OF MY NEW OFFICE AND PURPOSELY I CAME OUT OF MY FLAT A BIT EARLIER TO REACH A LITTLE EARLY.......THANKS TO THE IDIOTS (READ AUTOWALAHS) WHO WOULD NOT TAKE ME BECAUSE THE DISTANCE WAS TOO LESS AND SO WUD BE THE FARE.THEN I HAD TO WALK SOME 10 MINS AWAY TO GET GENEROSITY OF A GREAT AUTOWALAH,FINALLY AFTER WAITING FOR ALMOST AN HOUR.AND NOT TO MENTION THAT I REACHED 15 MINS LATE IN THE FIRST DAY!